If it's happening around us, post it here. All topics regarding our border states go here. And is swapping for the WPAY calls from EMF's 104.1 to boot. Expression Production Group CHR “98.3 Pulse-FM” WOKE Garrison KY/Portsmouth OH is stunting with a variety of money, wall and patriotic themed songs as “Trump 98.3” teasing to “Make Radio Great Again”. The station, which will soon be sold, has also applied to swap call letters with Educational Media Foundation’s 104.1 WPAY-FM Portsmouth. 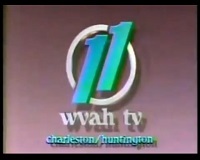 WPAY was the longtime Country station in the market indicating that will be the new format for the station. Incoming owner Bryan Fowler used the same stunt to launch Classic Country “105.1 The Wolf” WVWF Waverly TN in 2016. They are looping a southern gospel track by Charlotte Ritchie, "I've got Joy". I wonder if the flip is actually back to how they signed on as southern gospel "Joy 98.3". Edit: Never mind, it's all Earl Thomas Conley today. After a week of stunting as “Trump 98.3“, 98.3 WOKE Garrison KY/Portsmouth OH has completed its flip to Country as 98.3 WPAY-FM under new operator Fowler Media Partners. The new “Country Superstars” is adopting the the call letters and identity of the former 104.1 WPAY, which was the local Country powerhouse until its sale to Northern Kentucky University in 2011. Sean King, who hosted mornings on the old “Pulse-FM” format, remains in place with the new format.